The Michael King Writers’ Studio trust is very happy to announce the appointment of Ka Meechan as the new Executive Director of the Writers’ Centre. Ka has comprehensive knowledge of the international book trade from over 30 years of experience working in New Zealand, the UK and Australia. She has travelled extensively during her career working with clients and partners across the globe. In August 2013 Ka left her role as Managing Director, Asia Pacific with Nielsen Book Services where she was responsible for revenue and client management across the range of bibliographic information and retail sales monitoring services in the Asia Pacific region encompassing Australia, New Zealand and the Asian countries bordering the Pacific. For the past two years Ka has worked with the Publishers Association of New Zealand (PANZ). Most recently she organized the PANZ International Summit in May and the PANZ Book Design Awards in July. She also project managed the Visiting Author component of New Zealand’s Guest of Honour programme at the Taipei International Book Exhibition (TIBE) in February 2015. Ka says: I am very much looking forward to working with the Michael King Writers’ Studio Trust to build on the successes achieved over the last ten years. Catriona Ferguson, Chair of the Trust says “Ka will bring energy and enthusiasm along with vast experience of the literature sector to the Trust. We are thrilled that she has accepted the role of Executive Director”. 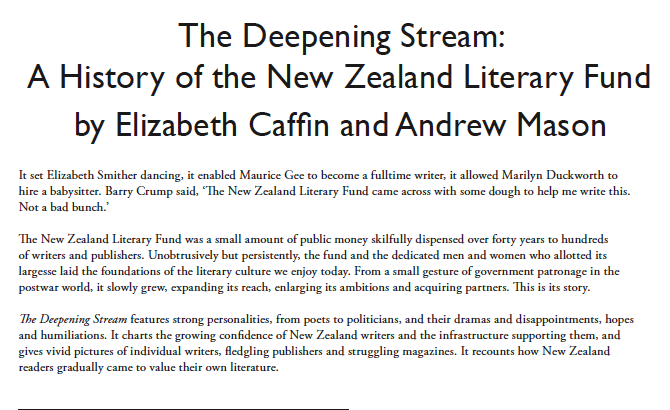 As the first national writers’ centre in Aotearoa New Zealand, the Trust’s mission is to support quality New Zealand writing and the development of New Zealand writers. The centre is based in the old Signalman’s House on Takarunga Mt Victoria, Devonport, Auckland. Ka will take up her appointment on Tuesday 01 December 2015. This entry was posted in Uncategorized on November 23, 2015 by Paula Green. This entry was posted in NZ author, NZ poetry and tagged Bill Manhire, Damien Wilkins on November 23, 2015 by Paula Green. Amy Brown has provided an easy, approachable introduction to ekphrasis for students, teachers and anyone who wants to do some creative writing but isn’t sure where to start. The project was supported by the Ian Potter Museum of Art – all the images come from their wonderful Grimwade ‘Miegunyah’ Collection. This entry was posted in Uncategorized and tagged Amy Brown on November 23, 2015 by Paula Green. Sensation of Freefall Generated by Receipt of Terrifying Information. labouring to enter the alphabet. and sometimes the only word to assemble in the throat is No. Author bio: Sue Wootton’s poetry and fiction has been widely published, anthologised and translated. Her most recent publication is Out of Shape, a letterpress portfolio of poems hand set and printed by Canberra letterpress artist Caren Florance. She was recently placed second for the Gwen Harwood Poetry Prize, and longlisted for the 2015 Canberra University Vice Chancellor’s Poetry Prize. A former physiotherapist, Sue has a special interest in the practice of the creative arts in healthcare. She holds a Master of Arts in Creative Writing from Massey University, awarded with distinction, on the subject of creative fiction and the phenomenology of illness. She lives in Dunedin and is the current selecting editor for the Otago Daily Times Monday Poem column. 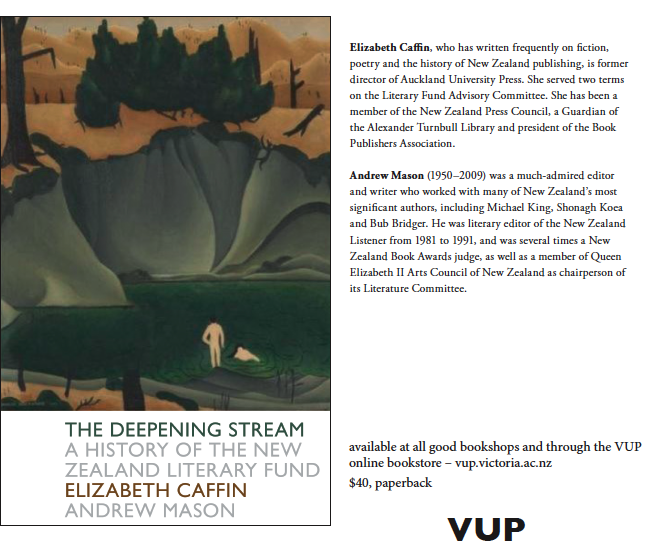 Her novel, Strip, is forthcoming next year from Mākaro Press. Paula’s note: I love the way this poem grapples with the elusiveness of words, building in momentum from that point in the bone to that point in the throat. Inventive. Surprising. The elusive moments/notions/images glint as they escape. The ending shifts the pitch of the poem and delivers, for me, a moment of poignancy. I love this. This entry was posted in NZ author, NZ poetry and tagged POem Friday, Sue Wootton on November 13, 2015 by Paula Green. Fresh from the recent screening at Experimenta 2015, the BFI London Film Festival, the programme features short moving image works by Nova Paul, Rachel Shearer, Sonya Lacey, Miranda Parkes, Shannon Te Ao and the collective Popular Productions. A prolific film-maker, poet, photographer and painter, Joanna Paul (1955-2003) quietly observed the intimate poetics of the domestic and the modest grace of her immediate surroundings. This programme presents an ambitious range of new moving image commissions shot in various spaces, including out of doors and within an artificial building complex made from salt. Each film has been inspired by a selection of Paul’s poetry, proving the resonance of her work in 2015. This screening of Six artists respond to the poetry of Joanna Margaret Paul is presented by CIRCUIT in association with the Adam Art Gallery’s current exhibition Fragments of a World: Artists Working in Film and Photography 1973–1987 (3 October – 18 December 2015) which features moving image and photographic works by Popular Productions, Joanna Paul and a number of her contemporaries. This entry was posted in NZ author, NZ poetry and tagged joanna Margaret paul on November 13, 2015 by Paula Green. 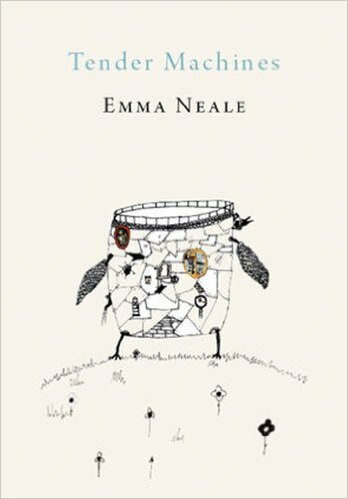 Emma Neale’s new poetry collection features a striking drawing by her son, Abe. Surprising, inventive, poetic even. The poetry is Emma’s best yet, dare I say it. To step off from the title, tenderness meets sharp edges meets exquisite moving parts, small yet perfectly formed. The collection holds you in the intimate embrace of home, yet takes you out into the wider allure of the wider world. Issues, ideas, preoccupations. you’re our darling our treasure. sew love’s shadow behind you. So many standout poems. I especially loved the way ‘Suburban Story’ moves. It begins with a ‘shopkeeper at my old corner store’ and then travels through a poignant catalogue of losses, minor and major. Again the exquisite ear at work, again the pulsating detail. This is a collection of reflection, revelation, absorption. Emma wrote many of these poems during her tenure as The NZSA/Beaton Fellow, The Otago Robert Burns Fellow and The University of Otago/ Sir James Wallace Pah Homestead Writer in Residence. Such awards benefit the poet immeasurably with the gift of writing space and time. You can see it in the gold nuggets of this book. In another favourite poem, ‘Sleep-talking,’ the clogged channels of thought become poetry. Emma takes you into a deep private space in her writing; in ways that sing and challenge, that move and muster every poetic muscle and tendon as you read — in this poem and in the book as a whole. This entry was posted in NZ author, NZ poetry, NZ poetry, NZ poetry book, nz poetry review, Poetry and tagged Emma Neale, NZ Poetry review, Otago University Press on November 12, 2015 by Paula Green.